Rear storage area is finished. Several cans of fuel mixtures are needed for chain saws, kerosene heater and lanterns. 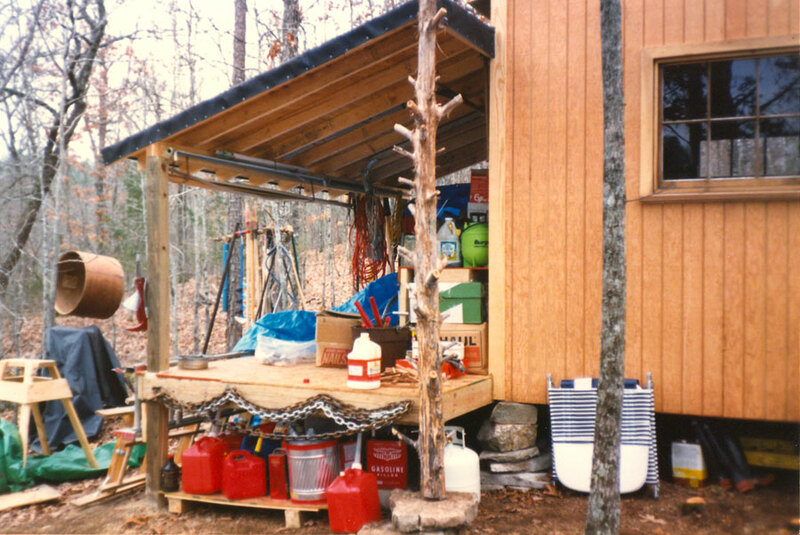 A gas operated, 4000-watt Briggs & Stratton generator was used when building the cabins. The generator powered various electric hand tools. 1989, scanned color print, 3 x 5 in. (7.62 x 12.7 cm). Ozark Series. © 2008 by Allen C. Benson.